Do you perspire profusely like me when the surrounding temperature is extremely warm? Does your shirt or t-shirt, dress or blouse gets wet easily when your perspire? Well mine does, and when that happens, I will feel very uncomfortable as the wet shirt or t-shirt sticks to my body like glue. And when there is a gust of wind, I will feel that chill, especially when I walks into a shopping mall or office after a long walk. This is where I usually get sick as our body will act as a heater to dry the clothing that we wear, thus our body looses heat very quickly. The Singapore day time temperature is around 30 degree Celsius to 33 degree Celsius, you can imagine I will be dripping sweat from head down, most of the time my friends will hand me a tissue to wipe my face. Naturally my whole body is perspiring and my shirt that I am wearing is all soak up with sweat, all wet. Just last month, I am very fortunate to be invited by my girlfriend to celebrate Thailand's new year with her family, I accepted it immediately as I can be with my girlfriend and at the same time experience Songkran for the first time in my life. Little did I know that this year the surrounding temperature in Thailand is above 40 degree Celsius, this is the first time in my life that I am experiencing such a high temperature. The heat is unbearable for me, I need to drink chill water most of the time to prevent myself from heat stroke. 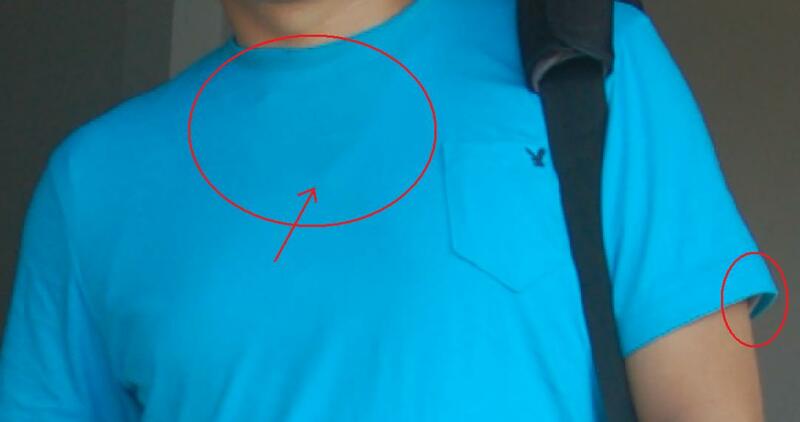 Knowing that I perspire easily, I wore my Nefful undershirt on top of a normal t-shirt as shown in the photo as marked by the red circle. I was wearing the Nefful undershirt inside to help me keep my body dry at all time, to others my t-shirt is all wet and they will feel uncomfortable for me. Luckily for me, Nefful clothing has the excellent moisture permeability which is constantly forcing the sweat out to the t-shirt thus maintaining a dry feeling for my body and skin. Underneath the jean that I am wearing that day was a Nefful long underwear which keeps my legs dry. The other thing saved me from heat stroke was Nefful clothing actually keep my body temperature constant and thus I am body temperature did not raise to above 40 degree Celsius. 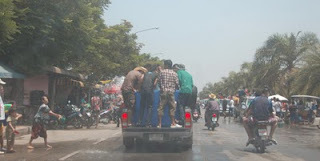 Below is a photo of how the people in Thailand fight the heat by pouring water at each other. Armed with Nefful clothing, I am not afraid that my body will get wet all the time as the Nefful under clothing will force the water away from my body, thus keep me dry and warm at all time. I am thankful that I have the chance to know about Nefful and able to use this wonderful product. I hope you will enjoy the benefit of Nefful clothing someday like I am now. May you be well, happy and healthy.